Arsene Wenger will be blowing a serious hole in the famed Arsenal finances if reports this morning are to be believed, while Man United look to a fresh approach to sign Everton stars. 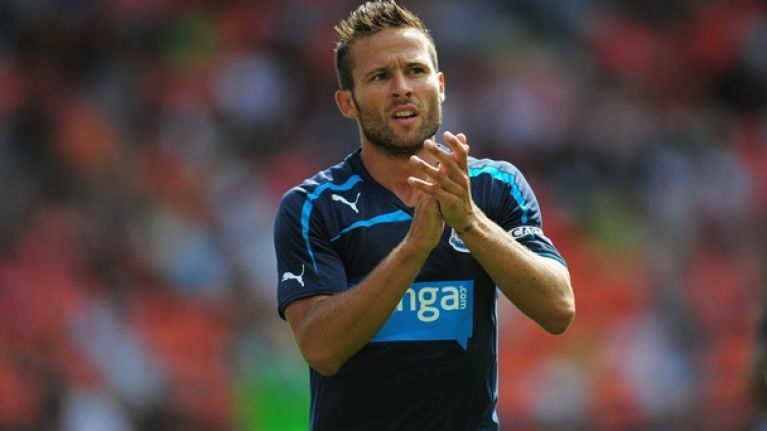 Yohan Cabaye of course did not feature in his side’s heavy defeat to Man City last night – one of the reasons for the loss if you are to believe a fuming Alan Pardew – but Wenger will have to stump up if he is to land the Frenchman. The £10 million offer was deemed ‘derisory’ and no doubt we’ll hear plenty more of that word before the window closes. The Sun claims the Gunners will offer £13, but the majority of the media seem to think the Magpies will hold out for £20 million. Swansea pair Michu and Ashley Williams are again being linked with the club, with a £35 million swoop on the cards, while Paul Pogba is also rumoured (Daily Mirror) to be on the way back to England, with a £20 million price tag currently on his head. We are fully aware that this is the height of silly season and that you can disregard quite a lot of the rumours, but this one from The Guardian this morning is a real treat. Why didn’t they think of that before? Two separate bids instead of one, how could it not work? The Times say United value the pair at £35 million while the Toffees are holding out for £45million, so one would expect a meeting in the middle. Or should we say £25 for Fellaini and £15 million for Baines. In other news, Paolo di Canio is set to make Greek winger Charis Mavrias his 11th summer signing and is also keen on Juventus full-back Paulo de Ceglie (The Sun), Stoke are readying a £5m bid for Rennes striker Mevlut Erdinc and the French side are willing to sell (The Daily Mail), while the same paper says Stoke are readying a £5m bid for Rennes striker Mevlut Erdinc and the French side are willing to sell.